Two men have been released without charge after they were arrested in Laois this week on foot of a €50,000 cannabis seizure. As part of ongoing investigations targeting the sale and distribution on drugs in the midlands an operation was carried out at Canal Road, Portarlington by the Laois/Offaly Divisional Drugs Unit, supported by local detectives and members of the Armed Support Unit on Wednesday morning, June 6. 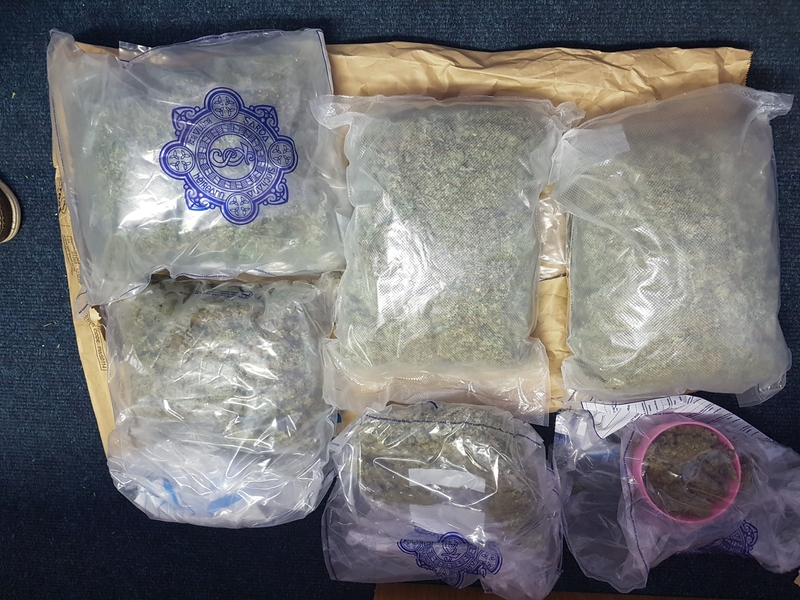 Cannabis herb with an estimated value of €47,000 was seized along with materials for cutting and preparing drugs for street sale. Two men, aged in their 30s were arrested at the scene. They are not locals but are living locally. They were detained under Section 2 of the Criminal Justice Drug Trafficking Act, 1996 at Portlaoise Garda Station and have since been released without charge. A picture of the seized drugs has been released by gardai.